I first learned of my mother's upcoming divorce to my stepfather on Christmas 1971. I sat in the back seat of the car clutching an empty plastic Kemp's ice cream bucket in the event of further vomiting from the stomach flu that had disappointingly curtailed a week long visit with my adorable young cousins. The timing of this announcement was not ideal. When my stepfather moved out on Groundhog's Day, my mother and I decided that rather than be devastated by this departure, we would celebrate. This began a yearly ritual that started with doctored frozen pizzas and after I moved out morphed into sending cards. It was a fun challenge to try to find cards over the course of the year with groundhogs or reasonable rodent facsimiles. Winter (especially from Groundhog’s Day through the torturously slow arrival of spring) was always a rough time for me. If you visit any of my elementary schools, you might still see the faint claw marks in the walls from where I was relentlessly dragged and then tossed out onto the frozen tundra for recess every day. I tried many time to escape the brutal Minnesota winters, and finally succeeded in the fall of 1997. I vowed never to return except during the summer months. Around the time of Groundhog's Day 1999, still reveling joyfully in the warm Charlotte winters, I was being wooed by the man who is now my former husband - a professor tenured in… Milwaukee. Clearly the wooing was compelling and my love was true. One bleak and frigid February second, four decades after that first Groundhog's Day ceremony, I attempted to stave off the imminent late winter, early spring depression that typically took me down into a dark hole. I started the day by repeating over and over to myself, "February is a short month". I followed this by reviewing the seating assignment on my plane ticket for an upcoming spring vacation. When I found myself in the closet, snorting the intoxicating coconut fumes from the sunscreen bottle, I knew I was in trouble. The day degenerated further as I was half seriously trying to decide whether Punxsutawaney Phil or Jimmy, the local WI groundhog was the legitimate one to follow. We were blessed with clouds but there was sun in PA and I did not want that damn fur-ball to go back underground and curse us with a longer winter. As I explored this ridiculous question, I found some fascinating information about the history of the holiday. I also discovered that there were quite a few other holidays around that time and became curious about the connections to each other. That night, I put together a little Groundhog's Day celebration for my husband, including little baked groundhogs fashioned out of ground "hog"(pork sausage) with beady little peppercorn features - he was thrilled since we were mostly vegetarian at that time and not by his choice. We also had a salad liberally sprinkled with sunflower seeds in honor of Imbolc and had candles on the table for Candlemas. The following night, fortified by warm Sake, we flung open our back door and following the tradition of Setsuban (Japanese Bean Throwing Day) we yelled "Devils out, happiness in"! Although we did not nail burning sardine heads to our door, we did brandish an unopened can of sardines and some burning sage. We also wildly tossed around a bunch of edamame beans. Fortunately the cold weather ensured that our neighbors were all inside behind their double-paned windows (probably huddled under blankets in front of their televisions like any sensible Wisconsinite) and not witnessing this bizarre behavior. And so I began devising modified rituals and creative menus quite frequently (sometimes daily) for the rest of my decade in WI. It was not always a totally successful antidote for depression, but it made a huge difference. Not only did it help me feel better, but I spread this spirit of fun to others. I hosted unusual gatherings for the staid faculty like a January Perihelion Party and an August Lammas Picnic. My adult stepchildren and our friends were frequent participants in everything from Seders to Summer Solstice Mead sampling. I also made a point of wishing everyone I encountered a happy whatever-holiday-it was, much to the amusement of a lot of people. Spreading cheer in the middle of long Midwestern winters is a good thing! Or at least most of the time. One February day, when I was at my local co-op picking up the ingredients for what I referred to as my "mock yak wraps" for a Tibetan holiday, I was getting acquainted with a new, apple-cheeked cashier, fresh from rural WI. She was quite friendly and chatty. I told her I was celebrating Losar and was introducing my reluctant husband to Seitan. For those of you who have never heard of Seitan, it is a wheat based meat substitute that is pronounced say-tan. When she abruptly fell silent, visibly paled and stopped making eye contact, I realized the problem. I showed her the package. Once she understood that I was not engaging in Satanic rituals, the color returned to her face and all was well again. Since The Day My Life Changed Forever, I no longer need to do elaborate celebrations to survive. I live in a place where winter wonderland is when the waterfalls awaken and spring flowers poke their little heads up around the new year (vs in April or May) without fear of being ruthlessly obliterated by a blizzard. I still celebrate and share a wide variety of obscure occasions, but with less emphasis on feasts and more on meaningful rituals. Last year on Groundhog's Day, I did a marshmallowy, whisper soft, launch of Sparks & Leaps - a service for families in transition. I thought I would be able to do so in the middle of my own serious and prolonged family transition during my father's dying months, but finally realized this was not good timing. Instead, I chose to take some extra time before actually working with families to start my monthly New Moon Blog and Full Moon newsletter, complete my website and learn more about how to better serve my future clientele. 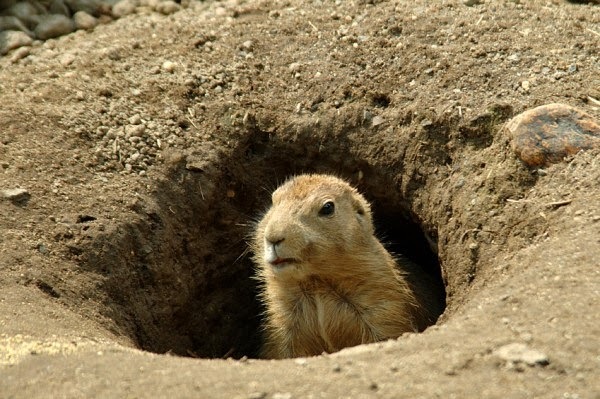 And now, as Groundhog's Day is just around the corner, I am coming full circle, In the tradition of the eponymous movie where Bill Murray has repeated opportunities to figure out the best way to show up in the world, I am preparing for another Sparks & Leaps Groundhog's Day launch. On 2/2, I will unveil the new Sparks & Leaps and the surprising benefits of using celebration (along with other powerful and playful strategies) for transformation. I am also offering a special price for the first 22 people to sign up, so stay tuned. Oh and just in case it would be possible for you to forget with all of the insistent commercial frenzy, 2/14 is Valentine's Day which does not have to follow Hallmark's rules! I remember much of these adventures, but learned new aspects. Groundhog's Day just wouldn't be the same without you, Mom!